I am performing an aerial dance piece in a production tonight and tomorrow at Overture Center, Madison's premier performance art space. The piece is a trio using a lyra with two other members of Cycropia, and we were asked to create a piece specifically for this show. And what a show it is. 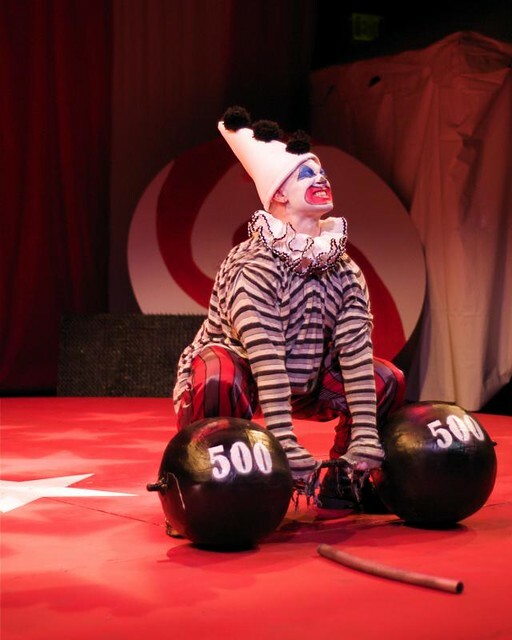 Fresco's Big Top Opera opens tonight. 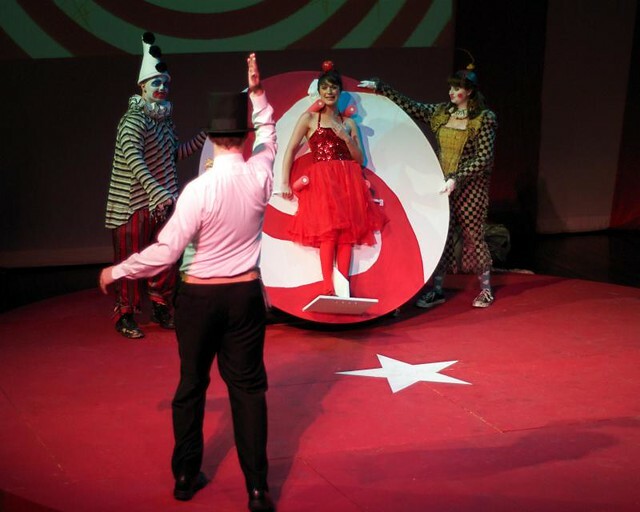 It is a fusion of old school circus acts and opera. Most of the performers are regional singers who take various circus roles while singing classical opera bits. It is a bit like "What's Opera, Doc", and I mean that in the most flattering sense (heck, my formative knowledge of opera was inspired by Bugs Bunny). There is the strong man, the bearded lady, the conjoined twins, the tightrope walker, and more, with a few other related non-singing acts (like ours) added in as intersticia. 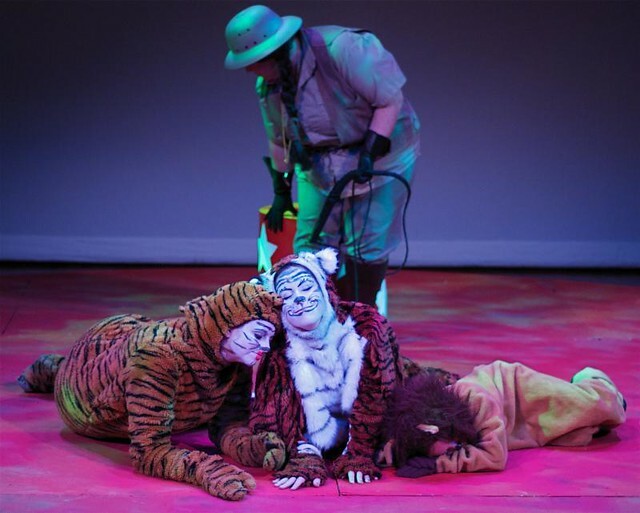 The show is suitable for all ages, and there is matinee pricing for the Saturday early show. Come on down and catch the show. The singing is good, the concept is amusing, and the transitional pieces are spectacular (wink!). The photos are from last night's dress rehearsal, and there are a whole bunch more here in a SLIDE SHOW. Enjoy!